Sclerotherapy – medical procedures that eliminate spider veins and varicose veins on face, hands, breasts, legs, chest and other areas. Sclerotherapy is a series of small injections of a specialized solution directly into the vein, to help seal the vein from the inside allowing the body to naturally redirect blood flow to healthy veins. 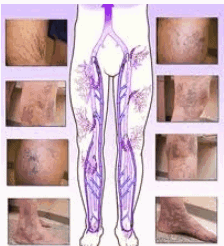 The painless sclerosing solution causes the veins to shrink, stick together, close off and eventually disappear. Use since the 1930’s, Sclerotherapy has become a proven procedure. It is most often used to treat veins near the surface of the skin, such as smaller varicose veins or spider veins. Although two to three treatments are often needed, the results are long-lasting. After sclerotherapy treatment, you will need to elevate your legs for a short time. Patients receive an initial consultation with our vein specialist to decide if they are a good candidate for sclerotherapy. Veins that are potentially usable for future heart bypass surgery will generally not be considered for sclerotherapy, unless they are already deemed unusable. You may have another option of trying laser spider vein removal, such as facial vein treatment through IPL laser or lamprobe radiofrequency. Sclerotherapy is a highly effective option when it comes to permanently removing spider veins. It’s also the preferred treatment for smaller varicose veins. Sclerotherapy, often informally known as sclero, uses a specialized medication which is injected directly into the veins being treated. This causes scarring in the walls of the vein, and eventually it closes altogether. Blood is immediately rerouted to healthy nearby veins (there are literally miles of veins in the body), and the treated vein is reabsorbed into the body through natural means. In a matter of weeks the appearance of the veins diminishes, often fading completely. As mentioned, sclero takes about 2-3 weeks to post treatment before peak results are seen. In some instances a follow up treatment may be necessary, but this isn’t typical, and results are generally excellent. • Cosmetic appearance, in order to clear the legs of clusters of spider veins. However if you are or plan to become pregnant, it’s advisable to wait until after the delivery to have your sclerotherapy treatment. This procedure is very safe and is tolerated quite well by most patients. Adverse effects are rare and most often minor. A thorough physical exam is essential before treatment, and a detailed medical history must be taken. • Pre-existing medical conditions and any current illnesses, especially a history of blood clots in the legs. • A review of medications and supplements taken on a daily or regular basis. This includes Nonsteroidal Anti-inflammatory Drugs (NSAIDs) such as aspirin and ibuprofen, which can thin the blood and lead to easy bleeding. Chances are that if you do take NSAIDs regularly, or prescription blood thinners, you’ll be instructed on how to temporarily wean yourself off from these medications to avoid unnecessary bleeding during or after the procedure. As a patient considering vein treatments, you’ll almost certainly be given a diagnostic ultrasound. This is the gold standard imaging study for blood vessels such as veins, and is both comfortable and safe. This isn’t an X-ray, so there’s no radiation of any kind. Don’t apply lotions, fragrances, and don’t shave for 48 hours prior to your treatment. Wear comfortable, breathable clothing for your appointment, preferably shorts if possible. It helps to be well hydrated, but no other specific actions are required. This is most often done in an outpatient, in-office setting. It doesn’t require general anesthesia (where the patient is “put under”), and usually takes only about one hour. No driver is required post treatment. The actual procedure is simple, and most of the allotted time is for prep work. Depending on what area is being treated, you’ll most likely lie on your back with your legs elevated above heart level. The area will be sterilized with disinfectants, and treatment will begin. A small cosmetic procedure needle (Botox needle) is used to introduce tiny amounts of the sclerosing solution into the vein. This medicine works by causing heavy irritation to the inner lining of the vein. This effectively causes the vein to collapse, cutting off blood flow, which is automatically rerouted to nearby working veins. Sometimes a local anesthetic such as lidocaine is used, but the procedure is so minimally invasive that this isn’t usually necessary. Soon the vein gets absorbed back into the body as part of the natural healing process. This technique works wonders on clusters of spider veins, and for larger varicose veins (less than 3 mm) a foam-type medication is used. This expands more once in the vein for better contact with the vein walls. Pain during the procedure is minimal (or nonexistent). Some injection site redness and inflammation is to be expected, yet this should subside shortly. If lots of pain is present, this usually means that the solution has leaked into surrounding tissue. This won’t cause any permanent harm, and will soon resolve on its own. After care is a straightforward and simple matter. You can and should get up and you’re your legs directly after the procedure to prevent the formation of any clots. Most people return to their normal, daily activities that same day. Missing work or school after a sclerotherapy treatment is rare. It’s recommended that you wear compression socks for about two weeks after your procedure. This keeps pressure on the treated veins, ensuring the best results. You’ll also likely be asked to avoid very strenuous activity such as lifting weights for two weeks after the procedure. It’s also good to limit sun exposure to the treatment area of skin for the first two weeks. Inflammation of the injection sites can cause a harmless darkening of the skin, and excessive sun exposure tends to make this worse. As this pigment can become permanent, it’s advisable to stay out of the sun, especially for dark skinned patients. Most patients begin to see minimal results almost immediately. Peak improvement is usually achieved within six weeks of the initial procedure. At this point you’ll be evaluated to see if you need additional treatment. When a treated vein is gone, it can’t come back since it’s physically been reabsorbed. It is possible that new veins may appear, especially in individuals prone to such vein disease. At the end of your appointment you’ll be scheduled for a follow up and reevaluation. The need for any further treatment is assessed, and if needed will be scheduled after a six week waiting period to allow for the maximum amount of improvement. Several studies have demonstrated the effectiveness of sclerotherapy. For spider and smaller varicose veins, this type of procedure has an estimated 60-80% success rate at permanently eliminating the problem veins. • A special medication known as a sclerant (scarring agent) introduced into the spider or varicose veins. This immediately coagulates the small amounts of blood trapped inside the veins, effectively closing them down. The vein is eventually reabsorbed by the body via the natural healing process. • The actual medication to be used is chosen largely on the basis of vein size. Foam is usually the best choice for larger veins to ensure maximal contact of the sclerant to the vein walls. • This type of therapy almost always improves the symptoms of Chronic Venous Insufficiency (CVI). • In the vast majority of cases, patients pursue this as a cosmetic procedure to address the appearance of their legs. Sclerotherapy is more commonly known as “sclero” by both patients and providers. 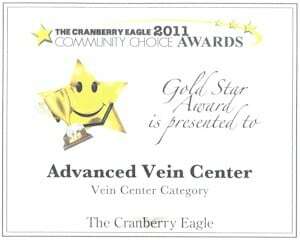 The goal of the treatment is to close down clusters of spider veins and small varicose veins (less than 3mm wide). Once they have collapsed, they are absorbed back into the body, improving the leg’s appearance and hopefully improving symptoms of vein disease. A specialized medication known as a sclerant or sclerosant is injected directly into the vein in question. This irreparably damages the inner lining of the veins, known as the endothelium. This closes the vein down completely, “scarring it down.” Soon it is reabsorbed into the body as if it were never there. The body’s system of veins is a much lower pressure system than the arteries. They carry deoxygenated blood back into the heart, which is then pumped to the lungs and re-oxygenated. Since this is such a low pressure system, there is minimal back pressure to force the veins open again, and blood is automatically rerouted to nearby networks of veins. Most veins have one-way valves that only allow blood to move in the right direction, i.e. back towards the heart. With increased pressure from pregnancy, standing for long periods, or excess weight, these veins can become stretched out and these veins pull apart. At this point their valves don’t touch, and they can’t work properly. This process is known as Chronic Venous Insufficiency (CVI). It is the cause of almost all lower extremity vein problems, and leads directly to the appearance of spider vein clusters and varicose veins. Is sclerotherapy safe a safe procedure? Yes. It is by nature extremely non-invasive. Although all medical procedures which break the skin carry some risk, sclero is regarded as both safe and infected. However, since this is usually a cosmetic procedure, a risk versus benefit analysis must be made, especially for those patients who are prone to infection. No, according to most patients. There will be several uncomfortable needle sticks as the sclerosant is injected. Also the solution itself causes irritation, and can cause a slight burning sensation. This is especially true when small amounts of the medication leak out of the vein or are unintentionally injected there. In general both types of discomfort are very minor. Can sclerotherapy treat both spider veins and varicose veins? This therapy is effective on nearly all veins, if they’re small enough and close enough to the surface. Very large varicose veins usually require surgical removal (phlebectomy). Deeper veins, which can be thought of as the tree trunks feeding the smaller veins in the leg, sometimes need to be closed in order to improve symptoms such as pain, heaviness, feelings of fatigue, and excessive swelling. Also note that skin resurfacing lasers are used to non-surgically obliterate very fine networks of spider veins and achieve excellent results. Patients who have Chronic Venous insufficiency (CVI), with or without cosmetic concerns, are candidates for this procedure. They should have attempted to resolve their symptoms using conservative measures (compression garments, over the counter anti-inflammatory drugs), and should be in good enough health to tolerate a minimally invasive procedure. Then, only after a physical examination by a practitioner familiar with the technique to determine the state of venous drainage both above and below the site to be treated is sufficient can treatment be considered. As a very general statement, those who have spider veins and small varicose veins (less than 3 mm) are good candidates for sclerotherapy, if no other factors are in play, such as diabetes or obesity. A Doppler ultrasound study is the most likely starting point for anyone considering sclerotherapy. However, if the area in question is only a single small area of spider veins, and the patient seems to be in good health, a visual assessment can suffice. How are the actual injections performed? Two sclerotherapy drugs currently have FDA approval for treating spider veins and smaller varicose veins. These sclerants, or sclerosing agents, as they are known are sodium tetradecyl sulfate (a chemical detergent) and polidocanol. 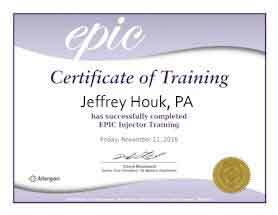 For the smallest of spider veins, hypertonic saline is often used. It contains no medication per se, but can cause enough irritation to the vessel walls to shut the vein down. In the case of the first two FDA approved drugs, these are injected directly into the vein being treated using as small a needle as possible. Is there downtime / recovery time associated with sclerotherapy? Usually not. This is an in-office treatment which is extremely minimally invasive, and barring very strenuous activity patients normally resume their activities immediately. What type of post treatment care is needed after sclerotherapy? Post treatment, patients will be asked to wear prescription grade compression garments for about two weeks after the procedure. At this time the patient has a follow up visit to evaluate the success of the sclerotherapy, and any other work is needed. If the veins treated were larger than small spider veins, a Doppler ultrasound is usually performed to make certain that no blood clots are present. How does sclerotherapy benefit patients? For those patients whose issues are mainly cosmetic, sclerotherapy directly improves the appearance of their legs. For those with generalized symptoms such as swelling, achiness, and fatigue, sclerotherapy has a proven track record of resolving these complaints. 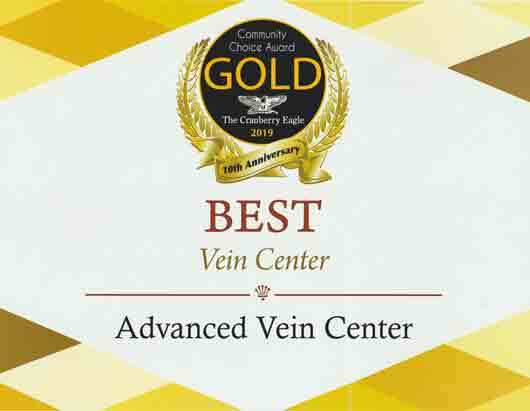 In all cases, overall circulation is improved when sclerotherapy is used correctly, as it shuts down veins which weren’t working to begin with. Are there potential complications or side effects? Sclerotherapy is regarded as extremely safe and effective, and adverse reactions of any kind are exceedingly rare. Temporary pain and swelling may occur, which can be managed with Over the Counter (OTC) pain medications. Occasionally dark splotches appear over the area which was treated, known generally as hyperpigmentation. Since this technique does use needles which break the skin infection is possible yet rare, and can be treated accordingly with antibiotics. In even rarer cases, blood clots can form in the legs which can travel elsewhere in the body, which is potentially life threatening but is easily screened for using ultrasound. Some patients experience dark, splotchy areas of discoloration known as hyperpigmentation. This is rare, and poses no threat of any kind. Most cases will resolve themselves completely within six months. This happens when the area is treated red blood cells disintegrate, leaking into surrounding tissue. Another concern is the formation of more spider veins. This is unavoidable in some patients, but these new clusters of vessels will usually disappear on their own as the body’s venous drainage compensates for new flow patterns. Another potential problem is the formation of new spider veins near the area that was treated with sclerotherapy. This can happen in some patients, but these new vessels also typically disappear within 6 months as well. Very rare complications include superficial blood clots, which are generally harmless, and deeper blood clots which may pose a threat but are easily screened for using ultrasound. Will health insurance cover the cost of treatment? This ultimately depends entirely on the insurance plan in question. As a general rule, however, if the patient is being treated for cosmetic reasons coverage will usually be denied. This is one reason why a thorough exam is essential before treatment begins, since if it is established that the treatment is medically necessary then it may be covered. Both varicose veins and spider veins are extremely common, and nearly half of all Americans will experience one or both of these at some point in their lives. Fortunately medical science has caught up with the problem, and a variety of highly effective treatments exist. For small clusters of spider veins, both skin resurfacing lasers and sclerotherapy injections are currently in use. Which one is right for you depends on your unique situation. As a very general rule, lasers work very well at permanently removing unsightly clusters of spider veins, if the area they cover isn’t extensive. These smaller areas are usually found on backs of the calves or around the knees. Larger, bulging varicose veins can’t be treated properly with lasers, and sclerotherapy is often used in cases like this. Small amounts of medication which cause the vein walls to collapse are directly injected into the vein, which is eventually reabsorbed. This always has a beneficial effect on circulation, since blood is automatically rerouted to nearby healthier veins. When done correctly, both methods achieve the same goal, namely the permanent reduction of the spider or varicose veins in question. It’s simply a matter of how large the vein being treated actually is. If you’ve only got several small areas of spider veins, are afraid of needles, then laser therapy might be your best bet. It works particularly well on spider veins on the face. Also in cases where the patchwork of veins is very extensive, leading to a dark purple matted appearance, a.k.a. telangiectatic matting, then laser treatmentis the best option because the individual veins are far too small to directly inject. Laser therapy does, however, tend to be the more expensive option. For many patients sclerotherapy makes more sense. In many ways it’s less expensive, faster, and of equal effectiveness. 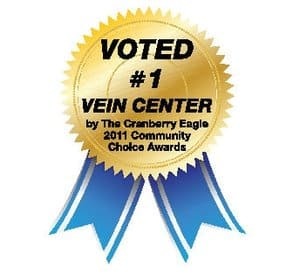 It’s the treatment of choice when vein size exceeds that which is normally associated with spider veins, i.e. small varicose veins. Sclerotherapy also has a better track record on patients with darker skin tones. Lasers depend on plenty of contrast between the color of the vein and the pigment in the skin, and naturally darker skin tones reduce this contrast. The short answer is that both treatments are excellent when used appropriately. Lasers for the smallest spider veins, and sclerosing injections for slightly larger ones. Minimally invasive foam sclerotherapy for unsightly clusters of spider veins. Sclerotherapy has an outstanding track record in the treatment of unsightly, reddish, purplish clusters of spider veins. This involved directly injecting a foam-type medication into the vein in question, which causes it to collapse in on itself. Blood is immediately shunted to nearby healthy veins, and the treated vein is reabsorbed and disappears. This procedure is considered cosmetic by nearly all health insurance carriers, and often won’t be covered. 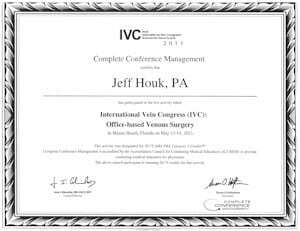 Still, if the vein problem is severe or long standing enough, it may be deemed medically necessary, at which point insurance would pick up the cost. How is foam sclerotherapy medication used? In almost all cases, sclerotherapy is a simple, in-office procedure. Over a 20 to 40 minute treatment, multiple injections of a foam medication known as a sclerant or scarring agent are made into the affected veins. Only very small cosmetic needles are typically necessary, so no type of anesthetic such as lidocaine is necessary. The number of sessions needed is determined solely by the size and number of the veins being treated. During the procedure itself, a sclerosing solution such as Asclera (polidocanol) or sodium tetradecyl sulfate (STS) is whipped into a foam with about the same density as shaving cream. This solution is very visible on using ultrasound, and it is for this reason that many of these procedures are done using ultrasound guidance. Once injected, the foam like consistency of the solution ensures maximum contact with the vein walls, causing intense irritation which causes the vein to collapse in on itself. The vein scleroses or “scars up,” and will eventually shrink as it is reabsorbed back into the body. 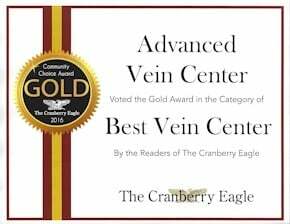 It’s important to remember that the spider veins or small varicose veins in question aren’t working properly to begin with, and when treated blood immediately begins to re-route to nearby healthy veins. As such, this procedure improves overall circulation. Why use foam type medications? Are there alternatives to sclerotherapy? Sclerotherapy using foaming medications is used to improve the appearance of spider veins on the legs, as well as small varicose veins under about 3 mm in width. It also reduces symptoms such as heaviness and achiness in the legs. Several treatments are available, and which is right for you depends on your individual situation. Some problems are purely cosmetic, yet some seemingly cosmetic problems actually mask deeper vein disease issues. At this point treatments such as other types of sclerotherapy, phlebectomies (removing the veins surgically, or Radio Frequency Ablation (RFA). That’s why it’s essential to sit down with a doctor to discuss your options. Q: How is Sclerotherapy performed? A: Sclerotherapy is performed with injections from a very small needle into the vein. 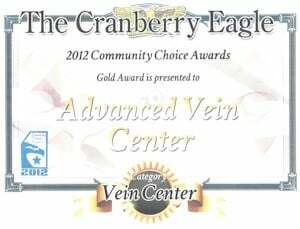 The number of veins treated varies, depending on the patient’s medical condition, and the location of the tiny veins. Sclero therapy is performed in a doctor’s office by a physician, physician’s assistant or registered nurse. Treatment usually takes about 30 minutes and requires moderate downtime. Patients are advised to wear compression stockings for 1-2 weeks minimally after treatment. A: The injections feel like a slight pinch, but are not painful. Q: How should I prepare for sclerotherapy? Q: How successful is sclerotherapy? A: Sclerotherapy has an 80% success rate. Spider veins, however, usually disappear. Q: What are the benefits of sclerotherapy? A: Sclerotherapy treats spider and varicose veins and improves overall health with minimal downtime and long lasting to permanent results. 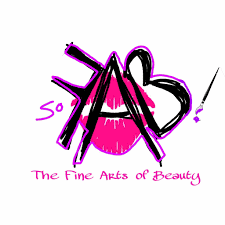 Most patients do not scar and there are few allergic reactions noted. Results may vary. Q: Can sclerotherapy be performed on all skin types? Q: What are the potential side effects of sclerotherapy? A: Mild side effects include itching and redness which can last up to 2 days. Bruising may also occur and can last up to a few weeks. More serious but rare side effects include brown spots, large veins becoming hard or lumpy for a few months and Neovascularization. Since vein disease is progressive, we suggest follow up appointments after the treatment. Bigger veins that are injected may become hard or lumpy and require months to fade and dissolve. Spots or brown lines may appear at the vein injections site. Usually, they will fade away within 3 to 6 months, but some marks can last a lot longer time. Neovascularization is a development of small blood vessels that may occur at the sclerotherapy treatment site. These small off-shoot veins may show weeks or months after a treatment, but usually disappear within 3 months to a year, often a second but smaller (clean-up) treatment can be needed. Because vein disease is progressive and has no cure, we recommend regular follow-up visits after every type of treatment. These almost always subside within several weeks with no serious harm being done. In almost all cases the final effect is the treated veins looking as if they had never been there. • Excessive inflammation. Some inflammation is expected as part of the natural healing process. This will almost always subside on its own, but if it persists over the counter anti-inflammatory medications are almost always sufficient. • Surface blood clot. Sometimes a clotted bit of blood may become trapped in the skin overlying the veins being treated. In such cases draining them is a simple matter. Very rarely blood clots can become deposited in the large veins of the leg, which is referred to as a Deep Vein Thrombosis (DVT) lump of clotted blood may form in a treated vein that may require drainage. Rarely such clots can enter the deeper veins of the leg, which is known as a Deep Vein Thrombosis (DVT). • Once a DVT is formed in the legs, there’s a small chance it will travel to the lungs. This is a medical emergency which can affect the arteries feeding the lungs and requires attention immediately. If the leg becomes painfully swollen and warm to the touch, seek help immediately. • Air bubbles. Also uncommon, and less serious than DVTs, are the formation of small air bubbles in the veins surrounding the treated area. Most often these cause no symptoms at all, yet in extremely rare cases they can travel to vitial nearby veins and potentially reduce blood flow. If you feel faint, nauseous, have a severe headache, or are experiencing visual symptoms seek emergency treatment immediately. Tiny air bubbles may rise in your bloodstream. These don’t always cause symptoms, but if they do, symptoms include visual disturbances, headache, fainting and nausea. • Allergic reaction to the medication. Again this is very rare, yet can occur. In such instances prescription medications such as steroids are sometimes used, or even over the counter anti-inflammatory medications.